Historic College Hill was ready to change their logo and website and reached out to Luminous for a new design. They also wanted us to articulate the message that College Hill is crucial part of the city and needs to be protected. 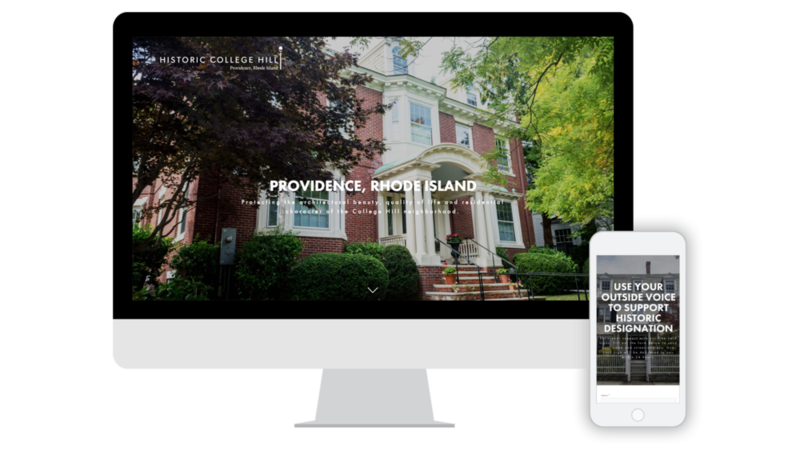 We set out to revamp the outdated website and replace it with a slicker and more user-friendly template, capturing Providence’s architectural beauty and aesthetic integrity that College Hill works to protect/restore. The historic district responded with great enthusiasm for both our logo design and website, pleased that their digital presentation and photographs now match the high standards of the work they do to preserve Providence’s rich architectural legacy.